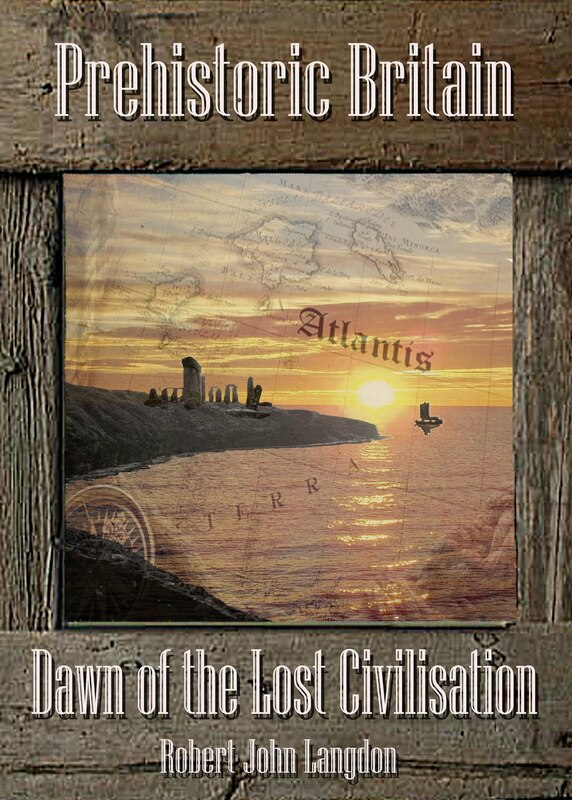 Website that promotes the Book 'Dawn of the Lost Civilisation' which includes evidence of Archaeological and Anthropological science that leads to the conclusion that there was once a great advanced Civilisation that lived in Doggerland (under the North Sea) the Greeks called Atlantis. Thirty thousand years ago, something momentous happened by the shores of the Caspian Sea that would change the course of humanity forever. So what was this event and why did it change history as we know it? Dawn of the Lost Civilisation is the second book of Robert John Langdon's epic trilogy 'Prehistoric Britain' that re-examines the archaeological, anthropological and mythological evidence to discover that there once lived an Ancient Civilisation that was the beginning of mankind as we know it today. 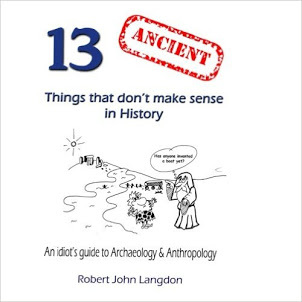 In his first book of the trilogy, Langdon discovered that this civilisation is known to archaeologists as the 'megalithic builders' that built and used their stone monuments, thousands of years earlier than the experts currently believe. This established scientific evidence is found in sites like Stonehenge, Avebury and Old Sarum, where carbon dating has now shown that these sites were constructed about five thousand years earlier than previously understood, at a time in history in which ancient Greek writings gave us enormous detail about the landscape and philosophy of this lost civilisation. 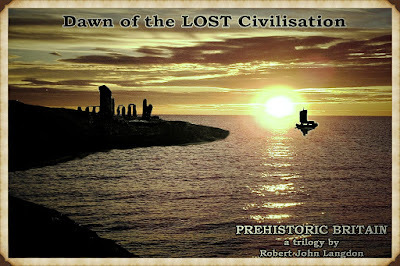 Dawn of the Lost Civilisation looks at the anthropology of the builders of these megalithic structures and by using modern DNA techniques allows us to trace them back to their original ancestry; tens of thousands of years ago (where they were conceived) by the largest enclosed inland body of water on planet earth - a place called the Caspian Sea that borders both Europe and Asia. Within this region, we find evidence that mankind's thoughts must have changed fundamentally from the past, which allowed them to design a simple floating craft that would become arguably mankind’s most important invention to date, as it totally changed the world - the boat. This unique discovery (almost overnight) altered the slow linear labourious evolution of mankind, as for the two million years previous to this invention humanoids had lived without change or more importantly without any reason to change. Furthermore, by plotting the progress of this group, using their new acquired boats, from the Caspian Sea to Caves in the Dordogne region of France, we can discover (through their DNA) this remarkable ‘quantum moment’ event in mankind’s history. Because something incredible happened by the Caspian Sea thirty thousand years ago - two humanoid cousins had crossbred for the first time to create a 'superior' humanoid species of immense power and intelligence. But the boat was not the only invention this lost civilisation discovered, for within the Caves of Lascaux archaeologists found mankind’s first paintings of epic proportions and detail, sculptures of ivory and musical instruments made from the hollowed bones of animals. The French archaeologists who found the skeletal remains of this unknown society, instinctively knew they were different to any other remains found in the past, as these skeletons were over six feet tall with large elongated heads - so they appropriately named them as a new species called 'Cro-Magnon', which (for politically correct reasons) current anthropologist have dropped and changed to a more generic term 'modern man' (or Homo Sapien, Sapien) as the DNA evidence has shown that this sub-species of mankind are endemic amongst current western societies. 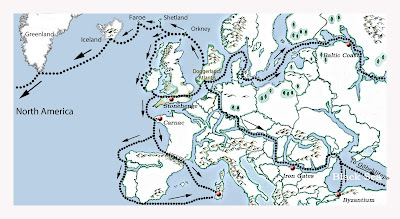 At the end of the last ice age, some fifteen thousand years ago, the Cro-Magnons moved north following the reindeer herds (one of their major staple food sources along with shell and marine fish they caught and farmed from their boat homes) to a newly revealed land mass which nowadays lies under the North Sea, which we call ‘Doggerland’. For freshly retreating ice caps of the last ice age, had left a wondrous new land of life, vitality and great beauty that is very existence has echoed through the mythology of our world's history - for our ancestors had found mankind's ‘utopian dream world’ which has been labelled in many ways in the past, but moreover known to the famous Greek philosopher Plato as 'Atlantis'. This ancient civilisation lasted over five thousand years until it’s land was hit one night by a tsunami and then flooded to be lost to the world forever (six thousand years ago). Its occupants were consequently, scattered throughout the known world, where they integrated themselves amongst the indigenous Homo Sapien populations to become a mere shadow of their former glory. In the thirty thousand years since this society existed, they took humanity from the primitive Stone Age to the Digital Space Age in a twinkle of a ‘Darwinian eye’ – for this civilisation are known as the forefathers of our species and were revered (in the past) as Gods accordingly. Fifty thousand years ago the second ‘migration’ of the Homo species began, which would change the course of history and human evolution forever. The first migration occurred almost two million years ago with the first of the ‘Homo’ species ‘Erectus’ walking out of Africa to an area of the world we have on sporadically found as we have only limited archaeological evidence to speculate due to the considerable period which leaves only the most sparse and easily overlooked artefacts. 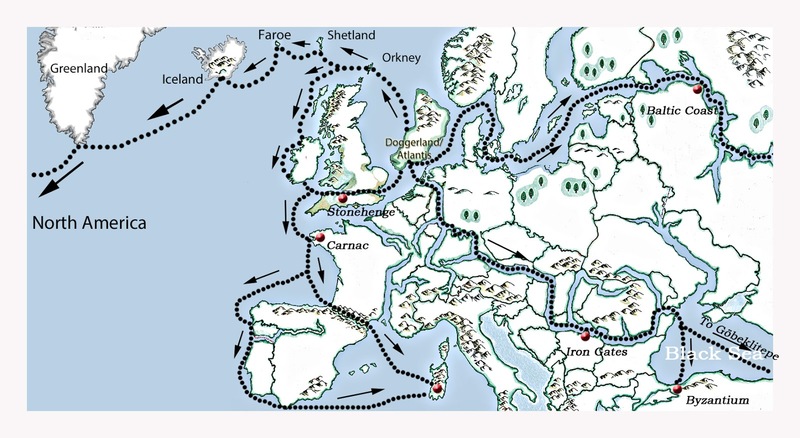 The second migration some quarter of a million years ago shows that Homo Neanderthal moved to areas Central to the mainland Europe and Asia, but not as far as China and clearly not America or the Polar Regions. Fortunately, have more evidence of the second migration due to it being just a mere fifty thousand years ago were the first ‘Sapien’ wanderers found an ancient cousin on the shorelines of the Caspian Sea which lies between Europe and Asia. 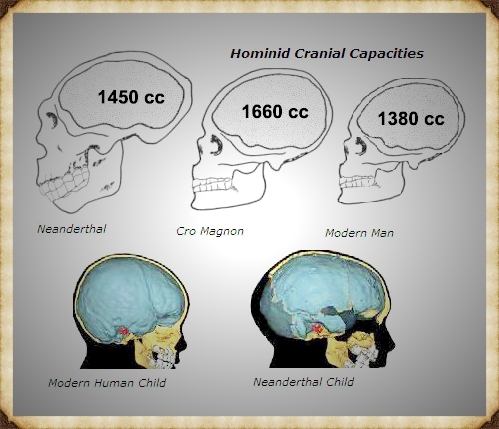 This meeting of these humanoids led to cross-breeding and the birth of a new species – The Cro-Magnon. This interbreeding of the thin and nimble dark skinned Homo Sapiens and the large and muscular Neanderthals, with their red hair and green eyes, created several offspring of mixed colouration, who interbred together to create the blonde/red hair and blue/green eyed variations we see today through our even more extensive interbreeding with indigenous sapiens. 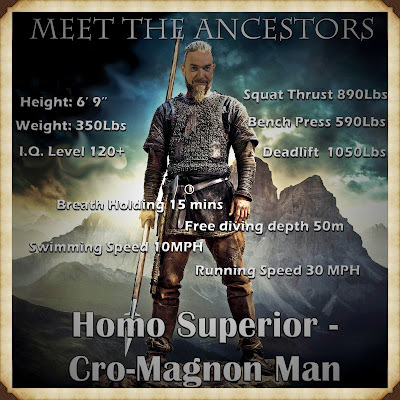 Cro-Magnons are the most ‘superior’ of all evolutionary Homo Sapiens, with brains and consequently intelligence 15% larger than even our species today; they were also physically superior with an average height of 6’ 6” and weighing about 300lbs (equivalent to today’s strongest men – which in prehistoric days were average men). They were able to tame and conquer the wild world of prehistory filled with wild animals, with just basic stone tools, unlike modern man who require much more sophisticated weapons and technology. This ‘hybrid’ humanoid has inherited several features unique to mankind which we take for granted today. This included the ability to swim – our humanoid ancestors could not swim, for apes and monkey will drown in water and so would Homo erectus and Homo Neanderthal. But Homo Cro-magnon could swim as like other marine mammals, for they have a layer of fat under the skin that allows buoyancy. This is the reason that Cro-Magnon’s were the first boat builders in history as they had no natural fear of water. Other new attributes such as intelligence and adaptability can also be seen at their birthplace by the Caspian Sea, where ancient cave drawings show this civilisation first invented and then used reed boats to spread throughout the world in the course over time. We can still this type of lifestyle still in operating at Lake Titicaca in Peru were the indigenous people live on reed islands and build houses as well as boats from this easily available and versatile plant. This ancient reed technology is also known to have been used by the first civilisation of the Middle East as the Egyptians, who were famous for using this type of boat for voyages across the Mediterranean and construction as quality wood is unavailable in desert countries. This new ‘advanced technology’ would eventually take them from Western Asia to a new home in Southern France and Lascaux using the raised river levels of prehistoric Europe. In Lascaux, the Cro-Magnon’s (Homo Superior) learnt to paint and play music for the first time in human history. Their techniques and imagination were so complex that they have been admired by some of the 20th centuries greatest artists for their complexity and dynamics – Picasso was even quoted when he first emerged from the Caves for the first time to reporters to announce in shame “we have learnt nothing (in the last 20,000 years)”. As one of their natural food sources moved north at the end of the last Ice Age ( as the ice caps started to retreat and melt) they found a new fresh land in its wake, which was teaming with wild and exotic animals, as the ecosystem allowed both arctic and tropical animals to exist on the same continent. This new homeland would now become central to mankind’s first civilisation and would be the epicentre of the ancient world for another ten thousand years. The analysis of blood types and haplogroups allows us to not only show who were these groups but moreover, how they populated the world (including America) and therefore now allows us to obtain a full description of how the Cro-Magnons looked and the language they spoke. Doggerland now lies under the North Sea, but once the epicentre of this civilisation. Trawler fishermen have found over the last one hundred years, bones and foliage that gives us a complete picture of what animals used to inhabit this land and the plants that also grow with them. Moreover, recent oil research sonar images indicate how it also used to look and hence we can now calculate the type of climate that must have experienced at the time of its existence. Amazingly, this evidence matches the writings of Plato and reinforces that the two are clearly connected. This chapter also illustrates which animals were found to have inhabited this land which directly contradicts the perceived beliefs that these animals (as they are found in mainland Britain over the last century) are over half a million years ago such as Leopards, Lions, Tigers and Elephants actually lived in Doggerland; less than ten thousand years ago. 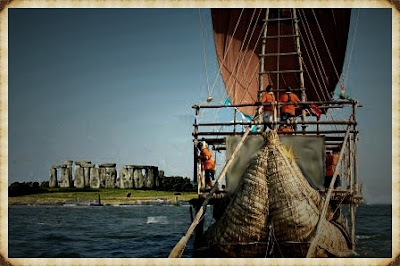 Armed with their improving boat technology – they use new materials, such as wood to create ships that could sail not only the rivers of the post-glacial world but also the oceans that were growing in size and harder to navigate, as the post-glacial seas rose in level. As they started to trade and travel on these new ‘superhighways’ of the prehistoric world, they started to build ‘meeting places’ to gather and trade, they also added navigation points on the hillsides of Northern Europe to direct boats to these markets and even canals to connect the raised rivers of history, were rivers did not exist. The builders of these stone monuments are called by modern archaeologists the ‘Megalith Builders’, and their work can be seen from the Orkney Islands to Turkey on the rivers of these ancient trading routes. The engineering skills for this civilisation has been lost in time but now we can compare them to as being just as effective and in some respects greater to any Roman or even Victorian engineering projects as they understood nature to a greater degree and could utilise the natural with greater efficiency. This time-period would be remembered throughout history, and its mythology was passed down from generation to generation and is known as Utopia, the Golden Age and Eden to mankind. 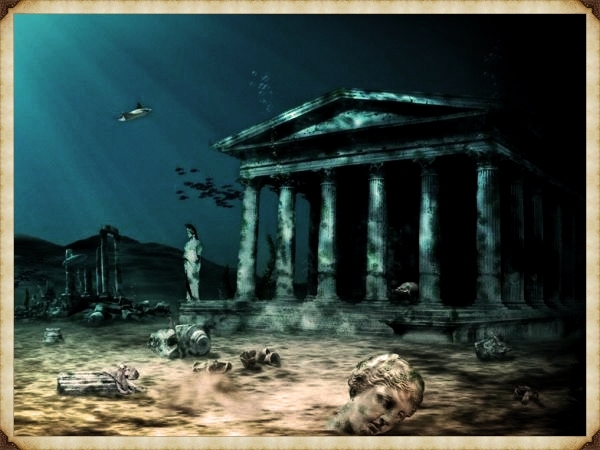 The ancient Greeks were the first to write down these ancient myths and consequently Plato gives us the first indication of this lost civilisation in his writings. This story was passed to him from a dialogue between Solon (the Greek Senator) and Socrates when he has returned from Egypt from a sabbatical. During his journey in Egypt, he found a temple which had the history of the world etched on its pillars, written down by the Egyptian priests, who had memorised this story for longer than they could remember. 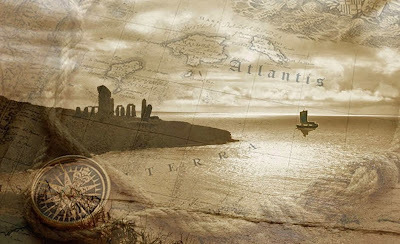 In an attempt to prove that Doggerland was, in fact, the lost ancient Greek land Atlantis as described in great detail by Plato, we need to understand the extent of our current knowledge of this area. The landscape of Plato’s Atlantis is a mixture of green pastures, great plains, plateaus and snow covered mountains, in which a whole variety of animals existed from tundra loving to tropical and savannah wildlife. Trawlers from fish boats since the turn of last century have found a whole host of strange bones that were accidently caught in the nets of these boats that included: Alpine Ibex, Artic Fox, Auroch or Wild Ox, Bear, Beaver, Bison, Cattle, Deer, Dog, Elephant/Woolly Mammoth, Fox, Irish Elk or Red Deer, Hare, Horse, Hyena, Leopard, Lion, Musk Ox, Pig or Wild Boar, Reindeer, Sabre-toothed Tiger, Seals and Sea Lions, Sheep, Tarpan (wild horse), Walrus, Wolf, Woolly Rhinoceros. 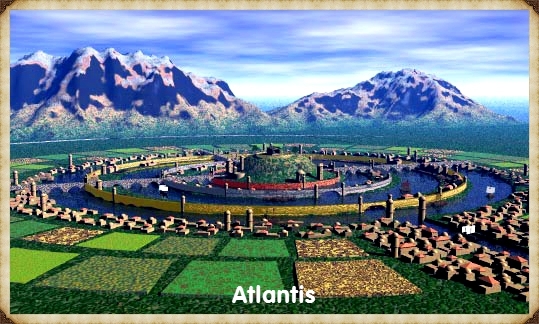 The landscape and foliage also matched the description of Plato’s Atlantis and the ‘micro climate’ of this unique area shows that this region would have received incredible warm and cold climate in extreme seasonal periods. Moreover, the sonar river valleys on the floor of the North Sea we see massive river valleys that once held gigantic rivers, which is probably a snapshot of how mainland Britain would have looked in the ‘Mesolithic period’ (10K BCE to 5K BCE), if we took the existing ‘dry river valleys’ into consideration. The landscape of the Mesolithic period can be seen in detail within a site called Star Carr on the East coast of Britain. This location has shown evidence of the world’s first ‘planked wood’, which would indicate that the first wooden boats were, constructed as early as 10K BCE and not the current 2500 BCE the current experts would have us believe. Now we can track the DNA of the Cro-Magnons down the ancestral path to more recent societies and cultures. Comparing Greek writings of their ‘northern ancestors’ we look at the virtues of these societies to see where this ideology originated, allowing us to complete the Lost Civilisation’s philosophy. This evidence indicates that the first democratic system was established long before Solon of ancient Greece introduced it into the Greek Senate, two and a half thousand years ago. Furthermore, we find that this civilisation has no material wealth and shares its resources equally. 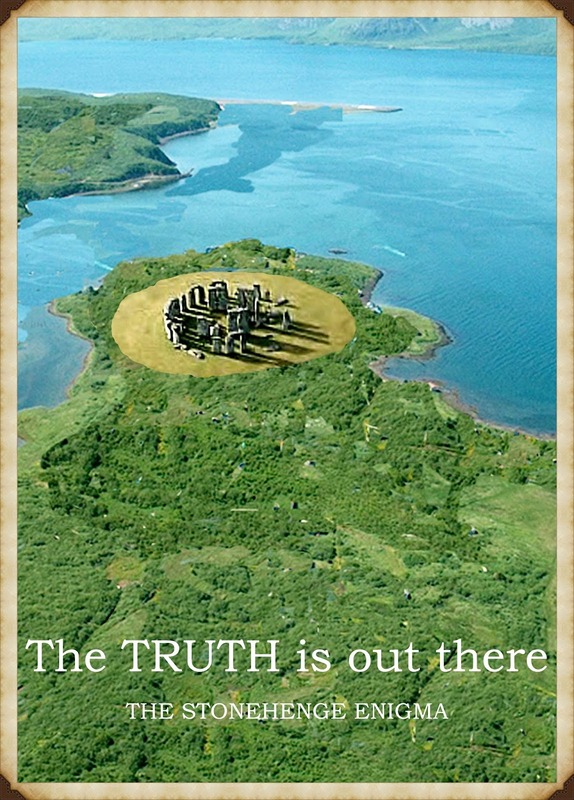 Consequently, this allows us to understand their structure and how they collectively built the megalithic monuments, we see in the throughout the world. Moreover, this is where we obtain the myths and legends of a ‘golden age’ in the history of mankind and where stories of ‘Utopia’ and ‘Eden’ can be found as their source. These ‘first socialists’ also believe in philosophy with a belief of morality and ethics for they were committed to what is called ‘virtue’. This idea is known in mythology and our history as ‘chivalry’. Within this code of conduct, this civilisation constructs mounds were the local town’s people would gather in the world’s first ‘Democracy’ and equal as one all would elect leaders as we vote for MP today. 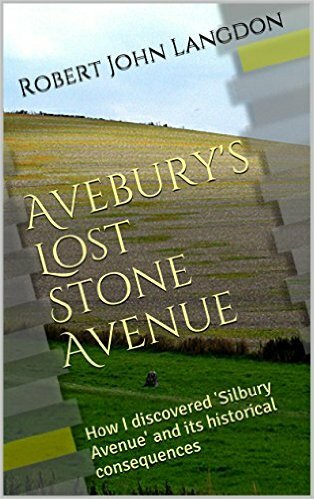 We have also found evidence of this ancient Parliament at Avebury, where the stones construct a construction known today as a ‘hundred’ as has been used for the last thousand years in a slightly altered form. Finally, we take a look at the physical appearance and status of this civilisation to see how ancient literature reflects this unique appearance and how these people we key to the development of mankind. Plato tells us about this civilisation and its Advanced Technology; we look in depth at the technology we know that was available at this time including the history of stone toolkits that altered drastically over a few thousand years after stagnating for hundreds of thousands of years previously. These tools including the first modern weapons and hunting tools that were a great deal more sophisticated than the previous millennia’s stone spear. These new inventions included the incredible and still not fully comprehended ‘microlith’ technology. This tool has uses from arrow tips to lathe blades for delicate carving and wood turning. Microlith blades are razor sharp and are glued to the steam of an arrow. This weapon allows a hunter to kill an animal instantly rather than just injure. Animals maimed run and walk miles before they fall over from their injuries – while the microliths razor sharp blades can be aimed at the animals neck arteries and kill quickly and quietly in an almost instant, causing the animal less stress and therefore making the meatless ‘toxic’ than even today's slaughtered livestock which contains toxins. We also examine if this civilisation invented the wheel and found evidence of this discovery and the places these carts were first used in history. 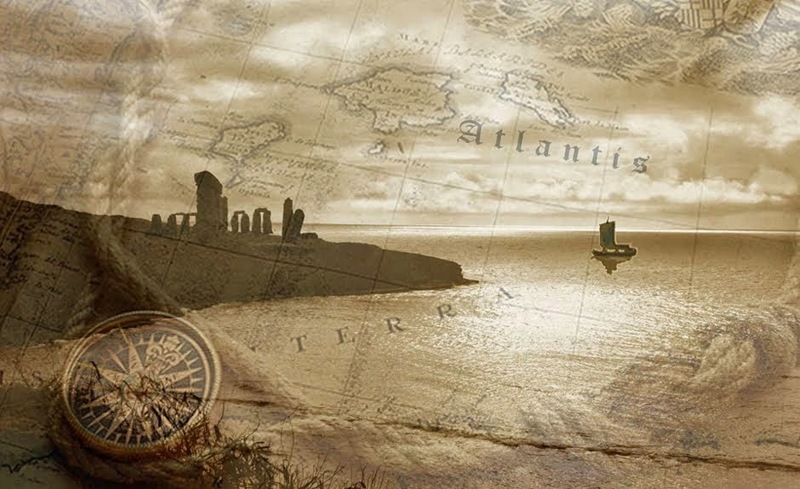 Other incredible inventions include a navigational aid known as the ‘sunstone’ that allowed this civilisation and others including the Vikings to steer a course over the seas even in bad and cloudy weather without the use of stars. Finally, we found a fantastic trading tool we still use today in our technological age – money. 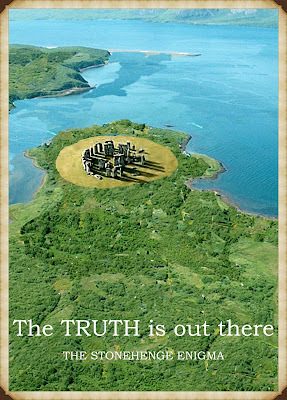 The currency of this civilisation (as gold and silver were not valued according to Plato) was the stone they created their temples and trading sites throughout Europe – one of the great mysteries of prehistory is simply explained and the reason such vast sized stones were used. Strange as this system does seem it is still used today in some Polynesian islands. This civilisation lived longer and grew stronger and taller than any other (including ourselves)in the history of humanity consequently, we look in detail at diet and lifestyle, to see if we can find clues to how mankind should live ‘the perfect life’. Their physical statue shows that they were well nourished, and archaeological bone examinations and various food artefacts indicate that they eat a fish-rich diet with only some red meat – but only the best learn meat as the poor meat they gave to their dogs. This another indication of a highly intelligent humanoid that understood dietary requirements much better than the later ‘Neolithic farmers that followed. Who changed this high protein diet to one of carbohydrates and vegetables, mixed with new dairy products that had a disastrous effect on humanity. We also look at the so-called 'Hunter Gatherer' myth and prove beyond doubt that it was a false and bogus concept created by Victorian anthropologists looking for answers which were unaware that this civilisation had woven cloth, hospitals, dentistry and even surgery procedures. This society also was highly organised and could communicate and trade over vast distances. This communication allowed them to develop innovation through new discoveries unlike traditional African and South American ‘Hunter Gatherer’ tribes who failed to move up the evolutionary scale. We also find that they may have had access to environmental science advances we are only beginning to understand today, such as magnetised water – which we only use to de-scale boilers and kettles, but our ancestors may have used to enhance they bodies and minds, thus allowing them a brain capacity 15% larger than our species today, which sadly also make this civilisation 15% more intelligent than ourselves. We also look at the Mesolithic mystery of housing in this period as we have little to no archaeology to tell us the size or how these people lived in the past. This chapter will also go on to show how agriculture – rather than being a positive aspect of history, did, in fact, provide a negative aspect which has impoverished our society to date. 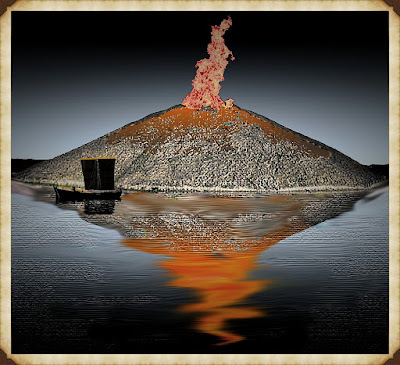 When the great glaciers of the last Ice Age melted – they left a landscape completely flooded and impossible to transverse by foot and so boats would have been needed to move about in this period of history. These boats allowed people not only to travel but more importantly to trade with others and progress their society with goods and communication. The greatest misinterpretation of our prehistoric history is the lack of understanding by archaeologists of how trade was the major influence the growth of humanity and the subsequent discoveries that this practice created which laid the foundation to the technological world of today. We show what great length this civilisation undertook to assist trading and the tools and monuments they used to achieve their ambitions. 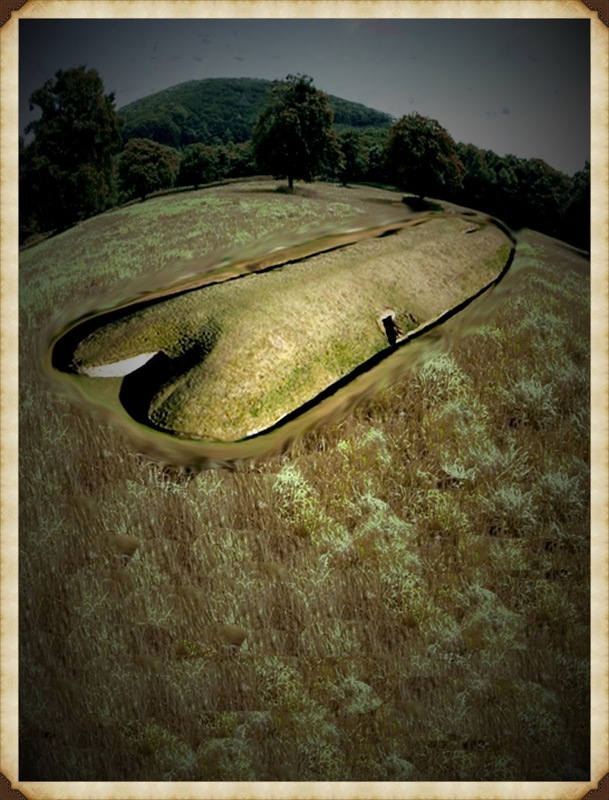 From the construction of megalithic and enclosures for gathering places on the hillsides of Northern Europe to be used for this trading purposes, using unexplained but well-known earthworks and monuments to aid navigation for this civilisations ships and boats. This chapter will allow us to show the regular trade routes of prehistoric times and how they adapted to the falling groundwater levels of the glacial period, to create canals of such length and sophistication that would put their Victorian engineer ancestors to shame. 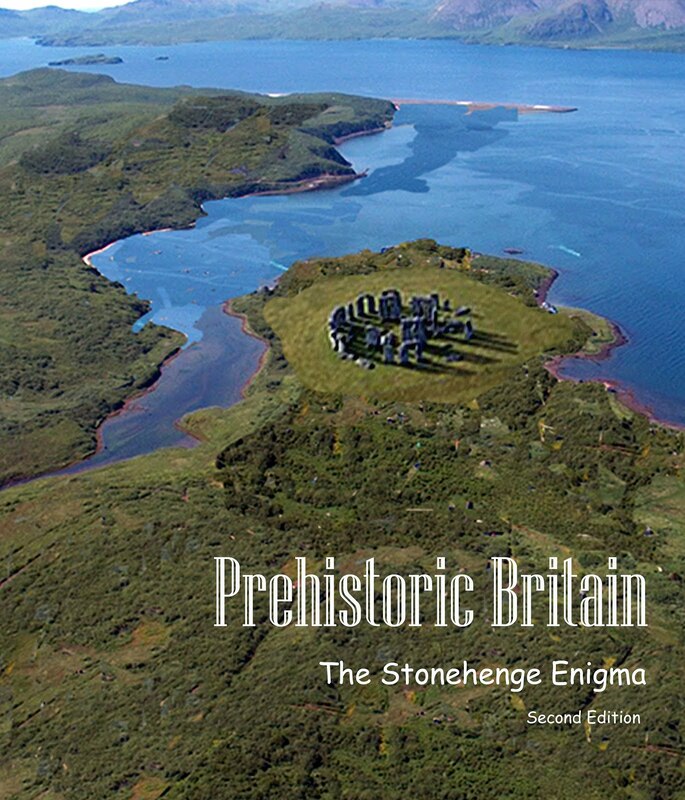 We also take a look at how such a society could build such massive monuments like Stonehenge, Carnac and Offa's Dyke, using a financial system we currently need to use today. This was the first use of a currency/money system which strangely is still used in some far off islands of the world today. Finally, we look and appreciate the fact that this civilisation travelled to the four corners of the world some ten thousand years before Columbus claimed America..only to find some 400 years later than someone got there long before him. The final chapter will show us how the ‘mental defects’ of this new civilisation created the world of art, music and language; we take for granted today. We look at the first ‘cathedral’ built underground some fifteen thousand years ago, upon seeing their artwork Pablo Picasso stated that "we have discovered nothing", indicating that ancient man was just as skilled as those who followed. We trace the source of our language to find it also supports the fact that modern ‘Indo-European languages’ originated by the Caspian Sea at the same time that the Cro-Magnon’s left to travel west in the venture of a new continent to conquer. This society is found to have rejected the choice of writing for the more ‘superior’ ability to verbal communication. We will show that history has given us a strange view of writing and is NOT a sign of sophistication but as Socrates will tell us – weakness of mind that can’t remember. Innovation is key to this civilisation, and their echoes are found throughout history steering this society towards further remarkable discoveries and technological evolution. 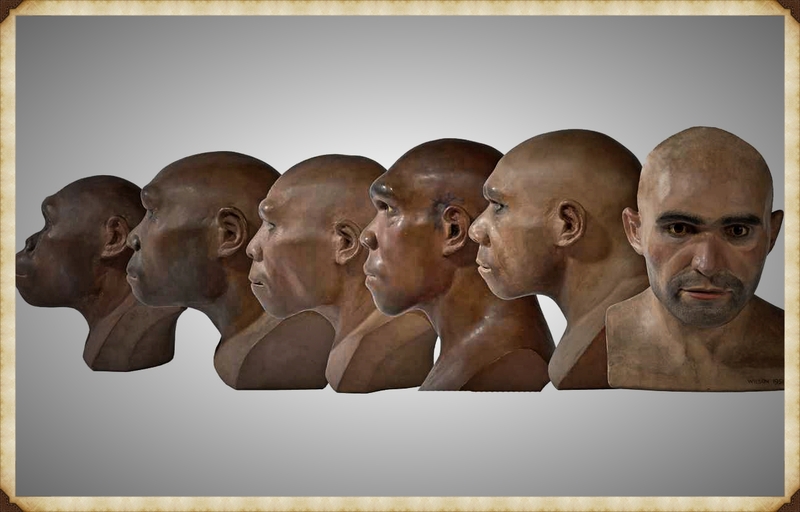 We look at the known people in history who we owe much too to find that they all ancestors from this Lost civilisation as their biological tendencies can be seen and traced to the hybrids that once were the Cro-Magnon. We also analysis the true nature of these ‘mental flaws’ in Cro-Magnons to conclude that our modern society rather than helping our evolutionary progress by prolonging life and treating mental illnesses with drugs are in reality diminishing and ‘dumbing down’ humanity by its lack of comprehension of our ultimate reason for existence. Finally, we look back at this Civilisations greatest Monument Stonehenge to find that they had left ‘a message in the bottle’ as when we analysis how the structure was constructed we find that the mathematics we currently credit to the ancient Greeks was in fact discovered millennia’s before then and incorporated into the structure as were the ‘imperial measurements’ of feet and inches. 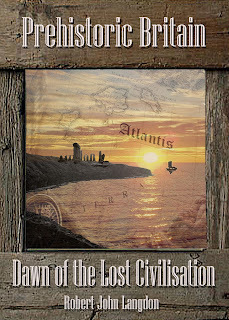 The last book in the Trilogy ‘Echoes of Atlantis’ will look at how our mythology was established around the existence of this civilisation and what this civilisation tells us about our current society and how we have failed our ancestors by wandering off the path of righteousness.